What better way is there to celebrate our nation's independence than blasting "Rock With You" all night long? 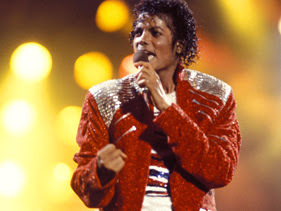 Well, if your Fourth of July soundtrack is typically heavy on Michael Jackson, you're in luck, because iTunes has just revealed two massive compilations of MJ's finest, including re-mastered versions of his iconicOff the Wall solo debut, mega-smashes Thriller and Bad, as well as live tracks, remixes and rarities that pull together just about all the known MJ ephemera in the universe. The first one, The Indispensable Collection, which goes for $69.99, contains all of Jackson's solo albums (Wall, Thriller, Bad, Dangerous,HIStory -- Past, Present and Future Book 1, the Blood on the Dancefloorremix compilation and Invincible), which have been mastered for iTunes, as well as the 16-track 1988 Live at Wembley collection. If those 104 tracks aren't enough, you can try the $79.99 162-track The Ultimate Fan Extras Collection, which pulls together all the extras from previously released Jackson reissues, plus demos, rarities and alternate versions of songs. Among the songs on that comp are the French and Spanish versions of "I Just Can't Stop Loving You," Afrojack remixes of "Bad," outtakes from theThis is It soundtrack, remixes and alternate versions of MJ's biggest hits from the Cirque du Soleil Immortal soundtrack and a 60-song compilation of remixes and rarities that includes five versions of "Black or White," "Remember the Time" and "One More Chance."